Chromotherapy, sometimes called color therapy, colorology or cromatherapy, is an alternative medicine method, which is considered pseudoscience. Chromotherapists claim to be able to use light in the form of color to balance "energy" lacking from a person's body, whether it be on physical, emotional, spiritual, or mental levels. Alternative medicine, fringe medicine, pseudomedicine or simply questionable medicine is the promotion or use of practices which are unproven, disproven, impossible to prove, or excessively harmful in relation to their effect — in an attempt to achieve the healing effects of medicine. It differs from experimental medicine in that the latter employs responsible and ethical investigation. Practitioners of science-based medicine also discard practices and treatments when they are shown ineffective, while alternative practitioners do not. The scientific consensus is that alternative therapies either do not, or cannot, work. In some cases laws of nature are violated by the basic claims of alternative medicine's practitioners; in other cases the alternative treatment can be so much more detrimental to the patient that its use is unethical. Pseudoscience consists of statements, beliefs, or practices that are claimed to be both scientific and factual, but are incompatible with the scientific method. Pseudoscience is often characterized by contradictory, exaggerated or unfalsifiable claims; reliance on confirmation bias rather than rigorous attempts at refutation; lack of openness to evaluation by other experts; and absence of systematic practices when developing theories, and continued adherence long after they have been experimentally discredited. The term pseudoscience is considered pejorative because it suggests something is being presented as science inaccurately or even deceptively. Those described as practicing or advocating pseudoscience often dispute the characterization. Light is electromagnetic radiation within a certain portion of the electromagnetic spectrum. The word usually refers to visible light, which is the visible spectrum that is visible to the human eye and is responsible for the sense of sight. Visible light is usually defined as having wavelengths in the range of 400–700 nanometres (nm), or 4.00 × 10−7 to 7.00 × 10−7 m, between the infrared and the ultraviolet. This wavelength means a frequency range of roughly 430–750 terahertz (THz). Neonatal jaundice is a yellowish discoloration of the white part of the eyes and skin in a newborn baby due to high bilirubin levels. Other symptoms may include excess sleepiness or poor feeding. Complications may include seizures, cerebral palsy, or kernicterus. Blood irradiation therapy is a procedure in which the blood is exposed to low level red light for therapeutic reasons. Most research on blood irradiation therapy has been conducted in Germany, and in Russia while smaller-scale research has been performed in other countries such as Britain. Avicenna was a Persian polymath who is regarded as one of the most significant physicians, astronomers, thinkers and writers of the Islamic Golden Age. He has been described as the father of early modern medicine. Of the 450 works he is known to have written, around 240 have survived, including 150 on philosophy and 40 on medicine. Therapy is the attempted remediation of a health problem, usually following a diagnosis. In the medical field, it is usually synonymous with treatment. Among psychologists and other mental health professionals, including psychiatrists, psychiatric nurse practitioners, counselors, and clinical social workers, the term may refer specifically to psychotherapy. The English word therapy comes via Latin therapīa from Greek: θεραπεία and literally means "curing" or "healing". Augustus James Pleasonton, often called A. J. Pleasonton, was a militia general during the American Civil War. He wrote the book The Influence of the Blue Ray of the Sunlight and of the Blue Color of the Sky, which was published in 1876. His book is often attributed to being the birth of contemporary chromotherapy. He was the son of Stephen Pleasonton and elder brother of Civil War-General Alfred Pleasonton. Blue is one of the three primary colours of pigments in painting and traditional colour theory, as well as in the RGB colour model. It lies between violet and green on the spectrum of visible light. The eye perceives blue when observing light with a dominant wavelength between approximately 450 and 495 nanometres. Most blues contain a slight mixture of other colours; azure contains some green, while ultramarine contains some violet. The clear daytime sky and the deep sea appear blue because of an optical effect known as Rayleigh scattering. An optical effect called Tyndall scattering explains blue eyes. Distant objects appear more blue because of another optical effect called aerial perspective. 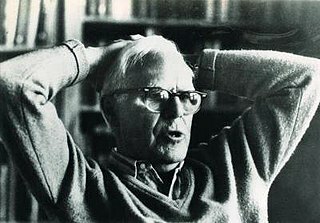 Martin Gardner was an American popular mathematics and popular science writer, with interests also encompassing scientific skepticism, micromagic, philosophy, religion, and literature—especially the writings of Lewis Carroll, L. Frank Baum, and G. K. Chesterton. He is recognized as a leading authority on Lewis Carroll. The Annotated Alice, which incorporated the text of Carroll's two Alice books, was his most successful work and sold over a million copies. He had a lifelong interest in magic and illusion and was regarded as one of the most important magicians of the twentieth century. He was considered the doyen of American puzzlers. He was a prolific and versatile author, publishing more than 100 books. 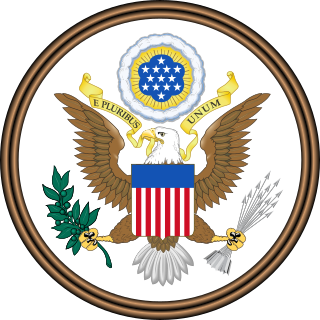 The White-Slave Traffic Act, or the Mann Act, is a United States federal law, passed June 25, 1910. It is named after Congressman James Robert Mann of Illinois. The United States Penitentiary, Atlanta is a medium-security United States federal prison for male inmates in Atlanta, Georgia. It is operated by the Federal Bureau of Prisons, a division of the United States Department of Justice. The facility also has a detention center for pretrial and holdover inmates, and a satellite prison camp for minimum-security male inmates. Photobiology, the term for the scientific study of the effects of light on living tissue, has sometimes been used instead of the term chromotherapy in an effort to distance it from its roots in Victorian mysticism and to strip it of its associations with symbolism and magic. Light therapy is a specific treatment approach using high intensity light to treat specific sleep, skin and mood disorders. Iridology is an alternative medicine technique whose proponents claim that patterns, colors, and other characteristics of the iris can be examined to determine information about a patient's systemic health. Practitioners match their observations to iris charts, which divide the iris into zones that correspond to specific parts of the human body. Iridologists see the eyes as "windows" into the body's state of health. Magnet therapy, magnetic therapy is a pseudoscientific alternative medicine practice involving a weak static magnetic fields produced by a permanent magnet. It is similar to the alternative medicine practice of electromagnetic therapy, which uses a magnetic field generated by an electrically powered device. Reiki is a form of alternative medicine called energy healing. Reiki practitioners use a technique called palm healing or hands-on healing through which a "universal energy" is said to be transferred through the palms of the practitioner to the patient in order to encourage emotional or physical healing. Craniosacral therapy (CST) is a form of bodywork or alternative therapy using gentle touch to palpate the synarthrodial joints of the cranium. A practitioner of cranial-sacral therapy may also apply light touches to a patient's spine and pelvic bones. Practitioners believe that this palpation regulates the flow of cerebrospinal fluid and aids in "primary respiration". Craniosacral therapy was developed by John Upledger, D.O. in the 1970s, as an offshoot osteopathy in the cranial field, or cranial osteopathy, which was developed in the 1930s by William Garner Sutherland. In alternative medicine, urine therapy or urotherapy, is the application of human urine for medicinal or cosmetic purposes, including drinking of one's own urine and massaging one's skin, or gums, with one's own urine. There is no scientific evidence to support its use. Crystal healing is a pseudoscientific alternative medicine technique that uses semiprecious stones and crystals such as quartz, amethyst or opals. Adherents of the technique claim that these have healing powers, although there is no scientific basis for this claim. 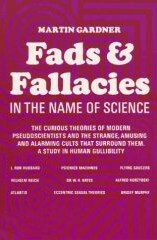 Fads and Fallacies in the Name of Science (1957)—originally published in 1952 as In the Name of Science: An Entertaining Survey of the High Priests and Cultists of Science, Past and Present—was Martin Gardner's second book. A survey of what it described as pseudosciences and cult beliefs, it became a founding document in the nascent scientific skepticism movement. Michael Shermer said of it: "Modern skepticism has developed into a science-based movement, beginning with Martin Gardner's 1952 classic". Leaky gut syndrome is a hypothetical, medically unrecognized condition. Anthroposophic medicine is a form of alternative medicine. Devised in the 1920s by Rudolf Steiner (1861–1925) in conjunction with Ita Wegman (1876–1943), anthroposophical medicine is based on occult notions and draws on Steiner's spiritual philosophy, which he called anthroposophy. Practitioners employ a variety of treatment techniques based upon anthroposophic precepts, including massage, exercise, counselling, and substances. In ophthalmology, high-energy visible light is high-frequency, high-energy light in the violet/blue band from 400 to 450 nm in the visible spectrum. Despite a lack of concurring scientific evidence, HEV light has sometimes been claimed to be a cause of age-related macular degeneration. Some sunglasses and beauty creams specifically block HEV, for added marketing value. Energy medicine, energy therapy, energy healing, vibrational medicine, psychic healing, spiritual medicine or spiritual healing are branches of alternative medicine based on a pseudo-scientific belief that healers can channel healing energy into a patient and effect positive results. This idea itself contains several methods: hands-on, hands-off, and distant where the patient and healer are in different locations. Radionics is a form of alternative medicine that claims disease can be diagnosed and treated by applying electromagnetic radiation (EMR), such as radio waves, to the body from an electrically powered device. It is similar to magnet therapy which also applies EMR to the body, but using a magnet that generates a static electromagnetic field. Colorpuncture, or color light acupuncture, is a pseudoscientific alternative medicine practice based on "mystical or supernatural" beliefs which asserts that colored lights can be used to stimulate acupuncture points to promote healing and better health. It is a form of chromotherapy or color therapy. There is no known anatomical or histological basis for the existence of acupuncture points or meridians. Scientific support for the efficacy of colorpuncture is lacking. Solco Walle Tromp was a Dutch geologist and biometeorologist. Ruth Beymer Drown was an American chiropractic and proponent of radionics. ↑ Dobbs, R. H.; Cremer, R. J. (1975). "Phototherapy". 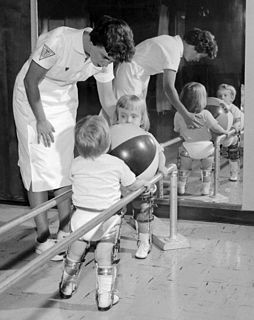 Archives of Disease in Childhood. 50 (11): 833–6. doi:10.1136/adc.50.11.833. PMC 1545706 . PMID 1108807. 1 2 Ades, Terri (2009). Complete Guide to Complementary & Alternative Cancer Therapies. American Cancer Society. p. 210. ISBN 9781604430530. ↑ "Why you shouldn't be afraid of LEDs - European Scientist". europeanscientist.com. 1 February 2018. Retrieved 21 March 2018. ↑ S. Point and A. Barlier-Salsi, LED lighting and retinal damage. ↑ Azeemi, S. T.; Raza, S. M. (2005). "A Critical Analysis of Chromotherapy and Its Scientific Evolution". Evidence-based Complementary and Alternative Medicine. 2 (4): 481–488. doi:10.1093/ecam/neh137. PMC 1297510 . PMID 16322805. ↑ Schwarcz, Joe. "Colorful Nonsense: Dinshah Ghadiali and His Spectro-Chrome Device". Quackwatch. ↑ Dinshah, Darius (2012). Let There be Light. Dinshah Health Society. ISBN 978-0933917309. 1 2 Gruson, L (1982-10-19). "Color has a powerful effect on behavior, researchers assert". The New York Times . Retrieved 2009-09-18. ↑ van Wagner, K. "Color Psychology: How Colors Impact Moods, Feelings, and Behaviors". About.com . Retrieved 2009-09-18.